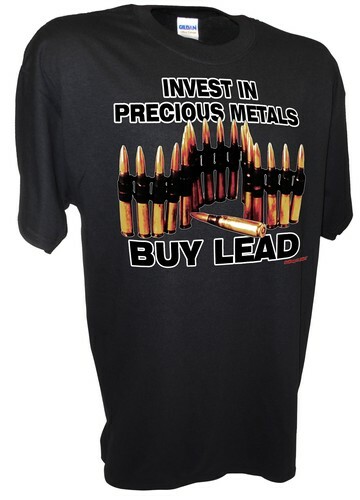 "INVEST IN PRECIOUS METALS...BUY LEAD"
GILDAN ULTRA COTTON brand used for MEN'S tees, 100% pre-shrunk cotton, sport gray 90/10...click here to check reviews. ANVIL 978 brand used for LADIES tees, 100% pre-shrunk cotton, heather gray 90/10...click here to check reviews. ANVIL 905B brand used for KID'S tees, 100% pre-shrunk cotton, heather gray 90/10...click here to check reviews.